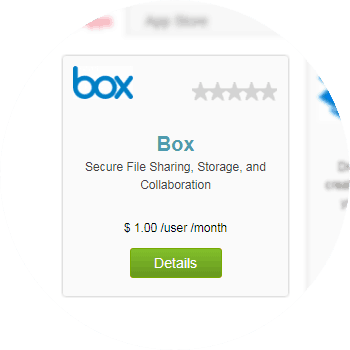 Box Integration with ConvergeHub, lets you share files and collaborate with your team for better customer management. 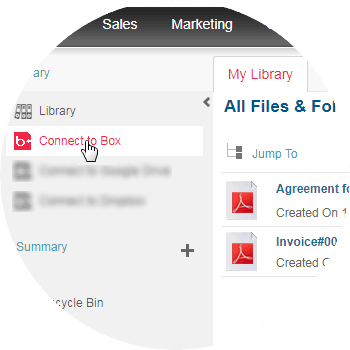 Using Box, an individual can sync, share, access, and manage all files associated with the CRM. Documents are a core part of your business. Every activity, process, and department is driven by it. Hence, break the barriers between content and sales. 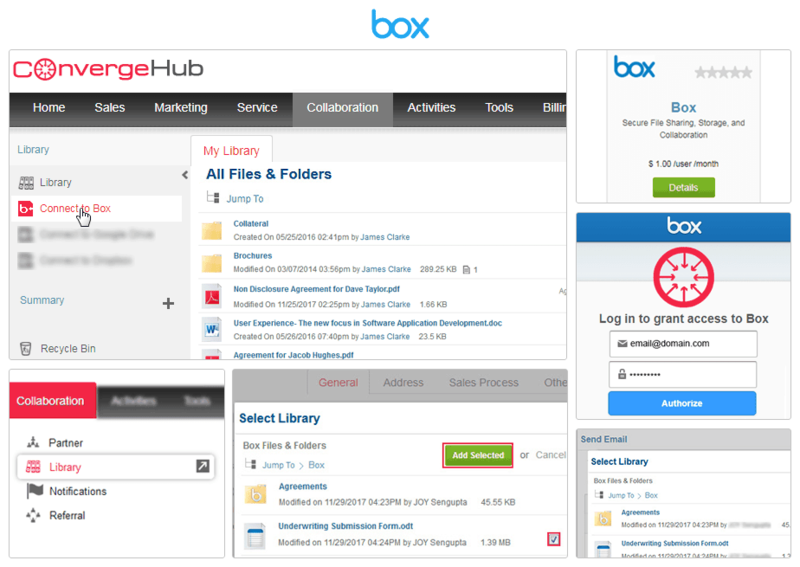 By integrating Box within your ConvergeHub account, you bring client relationship management and file sharing and file management under one roof. 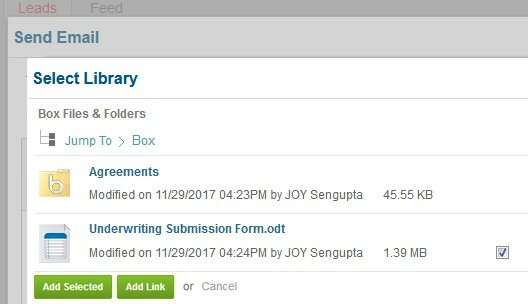 This result into a compelling scenario where your team can collaborate on presentations, contracts and proposals, share large files, share documents online with customers on the go, process work faster and be more efficient over time. 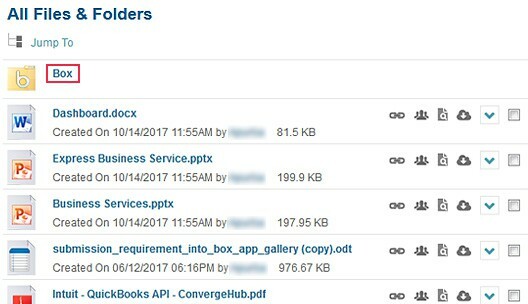 Access all of your Box files and documents from ConvergeHub CRM and even edit and revise all of your Box documents from within ConvergeHub and get the same reflected in Box. 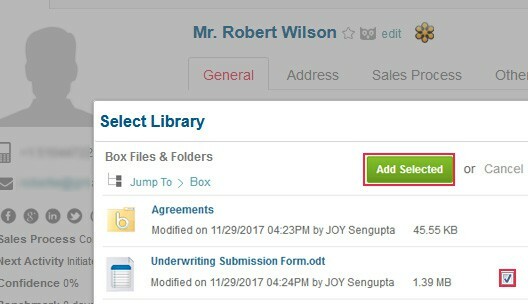 Quickly attach all Box files and documents to contacts, sales leads, projects, support cases, and more. This helps in keeping all your relevant documents associated with customer records, sales, marketing, support, and billing in a centralized repository. Keep your sales, marketing and support teams on the same page in relation to which Box contents have been shared with which customer and which contents have been previewed, edited or downloaded. 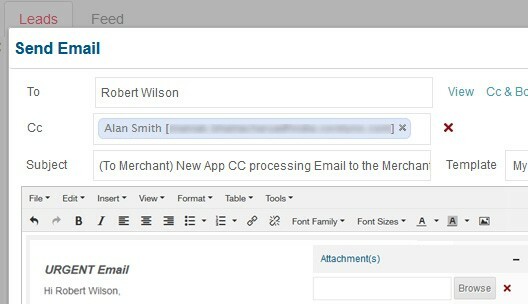 Secure file sharing and collaboration from anywhere, with sales, marketing, support and your customers. ConvergeHub CRM offers a plethora of apps in our App Store, which supports third-party integrations with the CRM. The App Store is the place where we keep on adding third-party apps that helps in making seamless collaboration with other necessary business tools. To enter App store you need to click on “Admin Settings” under your user profile and then enter App Setup, which shows the App Store. 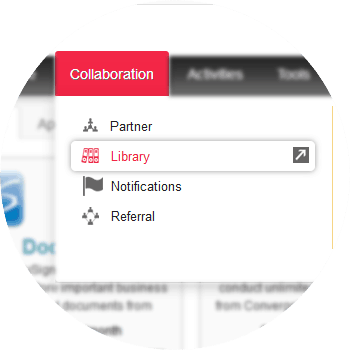 For connecting your Box account with ConvergeHub, you need to navigate to the Collaboration menu and then click on Library, which is listed under it. Click on Connect to Box, which is available in the left panel. If you have pop-up blocker in your web browser, then allow the pop-ups from ConvergeHub. Providing the necessary authorization will get you linked with the app. 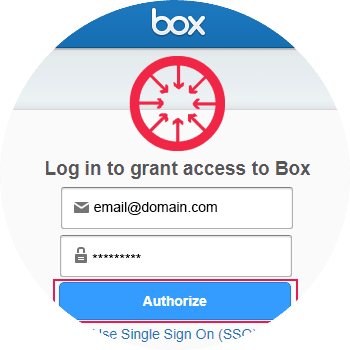 You can use your existing Box authorizations, which will help you to connect all the files that you have stored in your Box account or even upload new files for sharing with your team, business partners, leads and customers, and keep the files for your future use.